To truly have stunning, eye-catching and lush landscaping, you not only need creative design and well-thought-out structure, but also careful monitoring paired with regular landscape maintenance. At Dragonetti Brothers Landscaping, we are dedicated to keeping your lawn looking its best. Your landscaping is a living environment — it constantly changes and evolves, needing careful monitoring to ensure long life and utility. In addition to our landscaping maintenance programs, our skilled professionals can also help you plant and care for your herb or vegetable gardens. We will work with you to provide education on how to properly care for food in variable conditions. In time for winter, we’ll also assist you in harvesting and properly winterizing your garden. Knowing the ideal balance and specifications of your personal eco-system or irrigation systems can be tricky. As part of your customized landscape maintenance, not only can we expertly care for your gardens to keep them in pristine condition, but we can also provide regular maintenance for other aspects of your lawn, including deck staining, irrigation upkeep and pond cleaning. In preparation for cold weather, we can also assist you in winterizing fountains, sealing outdoor countertops and managing other outdoor accessories. For vibrant commercial landscapes, trust the personalized and attentive landscape care specialists at Dragonetti Brothers Landscaping. With proper landscaping and indoor plant care, you can maintain the pristine appearance of your building and create a welcoming aesthetic for visitors or tenants. New York has variable climates, all affecting the type of care and attention your plant life needs. That’s why we offer year-round care of your indoor and outdoor landscaping, including weekly lawn mowing, weed removal, cleanup of debris, fertilizer programs, pest monitoring and management among other maintenance services. Keep your New York home looking flawless and luscious with the attentive assistance of the experts at Dragonetti Brothers Landscaping. With over 40 years of landscaping installation and lawn maintenance experience, we’re one of the most trusted companies assisting residents throughout Brooklyn, Manhattan and Queens. We focus on providing our customers with unmatched and stunning design with year-round care to keep your home looking pristine. Our team is dedicated to providing all of our customers with an exceptional customer experience and offer customized landscaping maintenance plans and free quotes. 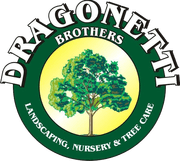 Experience the unmatched attention to detail and personalized care available at Dragonetti Brothers Landscaping. Contact us today at 718-451-1300 to learn more or complete our online form to schedule services.